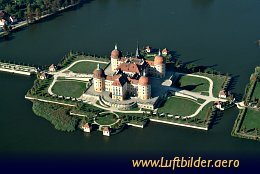 The baroque Moritzburg castle is located on an artifical island near Dresden. 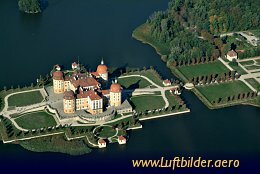 In the 18th century it was used by elector Friedrich August II of Saxonia, called ''August der Starke'', for hunting events and as scenery for electoral festivities. 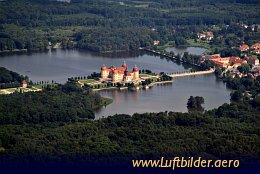 Moritzburg Castle was a place for huntings and great receiptions. Augustus the Strong used the castle for his pompous festivities.